There is nothing better than a ripe, juicy summer tomato. I sometimes find it hard to believe that these bright red, juicy fruits are even in the same family as the bland, pinkish variety available at supermarkets the rest of the year. 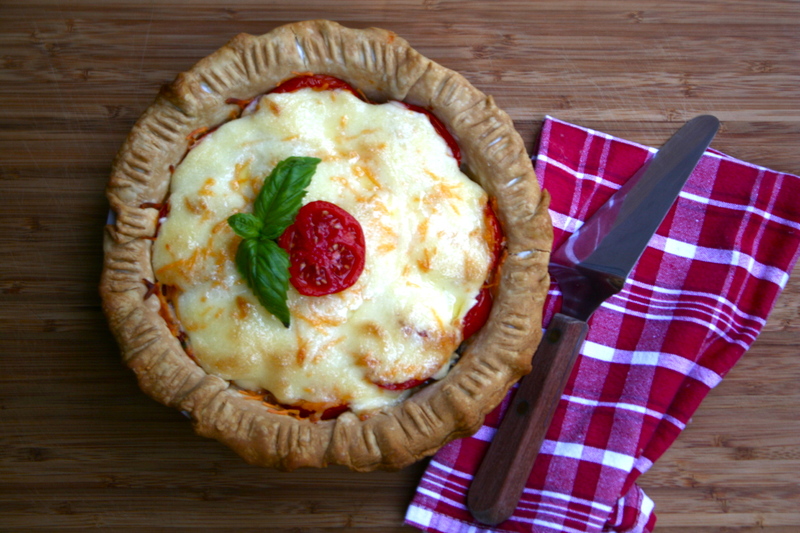 Tomato pie is a classic recipe that is a delicious way to enjoy this summer treat. 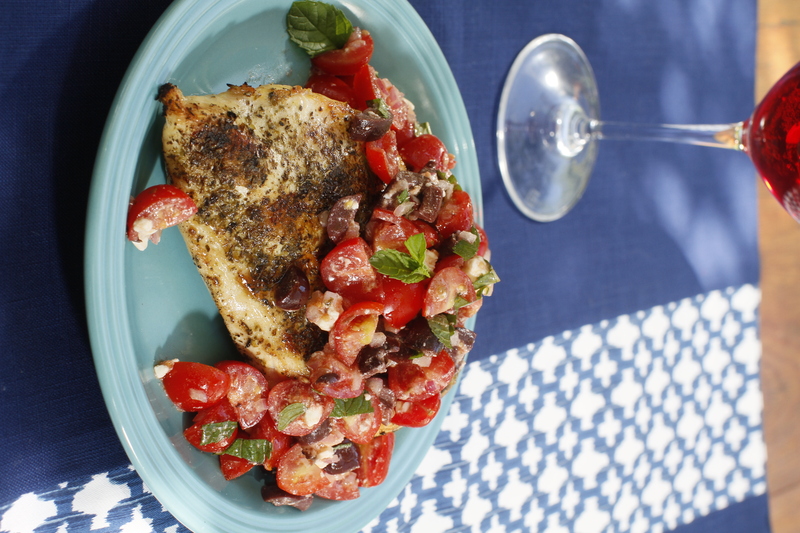 Tomatoes take center stage in this dish that is made with simple ingredients. In this recipe, the taste and texture of the tomatoes don’t get lost in a rich custard. Instead, the additions of cheese and a flaky crust compliment the tomatoes to make this dish irresistible. Summer tomatoes tend to be very juicy. To make your tomato pie less watery, place the tomatoes in a colander over the sink. Sprinkle a little bit of salt on them and allow to drain for about ten minutes. This simple step will make your pie easier to slice. If you don’t mind the juiciness, you can skip this step. When reading the ingredient list, you may question the mayonnaise. Be assured it is an essential addition to this recipe. The thin layer of mayonnaise on top offers a crusty golden top to the creamy, juicy interior of the pie. Perfect hot from the oven, or equally as good at room temperature as well, tomato pie is perfect summertime fare. 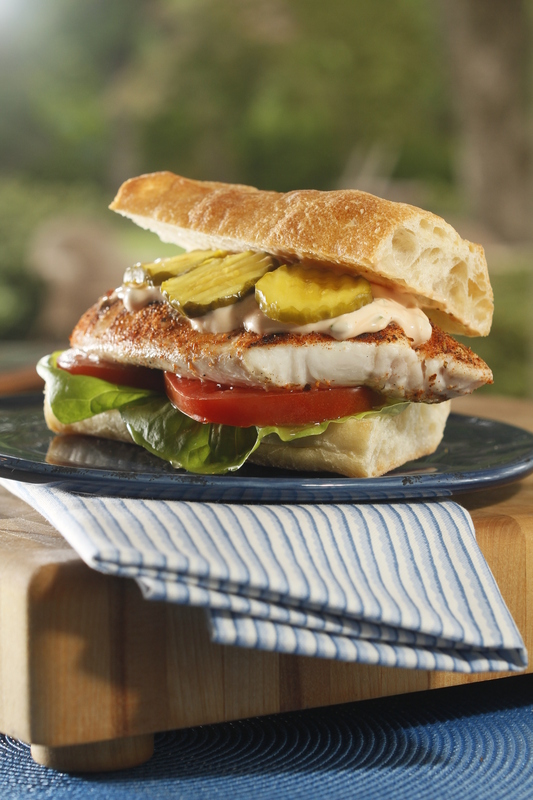 Pair it with a leafy green salad and you have a complete meal. Place the pie crust in a deep-dish pie pan. Flute the edges, if desired. Bake until lightly golden brown, about 10 minutes. 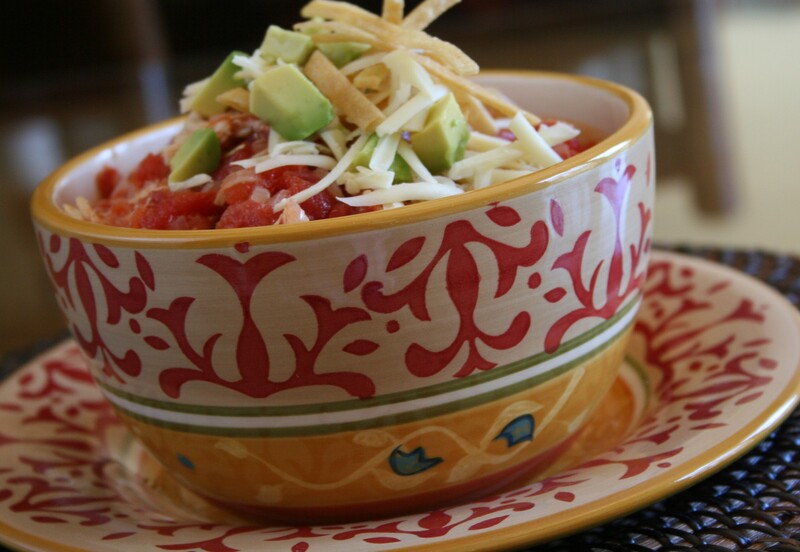 While the crust is baking, place tomato slices in a single layer in a colander; sprinkle with salt. Let stand for 10 minutes. Pat dry with paper towels. Remove the crust from the oven. Layer 1/2 the tomatoes slices on the bottom of the crust. Season with salt and pepper. Sprinkle 1 clove of minced garlic and 1 tablespoon of sliced basil evenly over the top. Sprinkle 1/3 cup cheddar cheese and 1/3 cup mozzarella cheese over the tomatoes. Arrange remaining tomato slices over the cheese. Season with salt and pepper. Sprinkle the remaining garlic, basil, and cheeses evenly over the top of the tomatoes. Evenly spread the mayonnaise over the entire pie. Bake until golden, about 30 minutes. Let cool 5 minutes before serving. 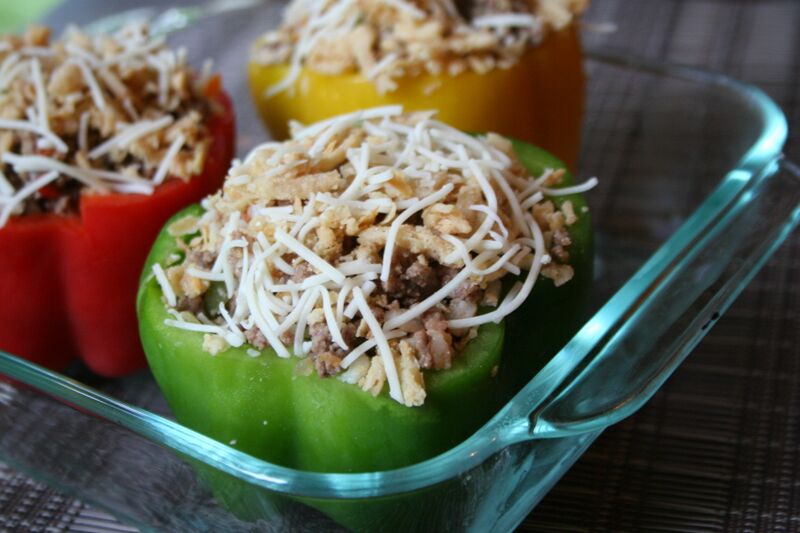 These stuffed bell peppers are a cinch to make … and are a super tasty supper! 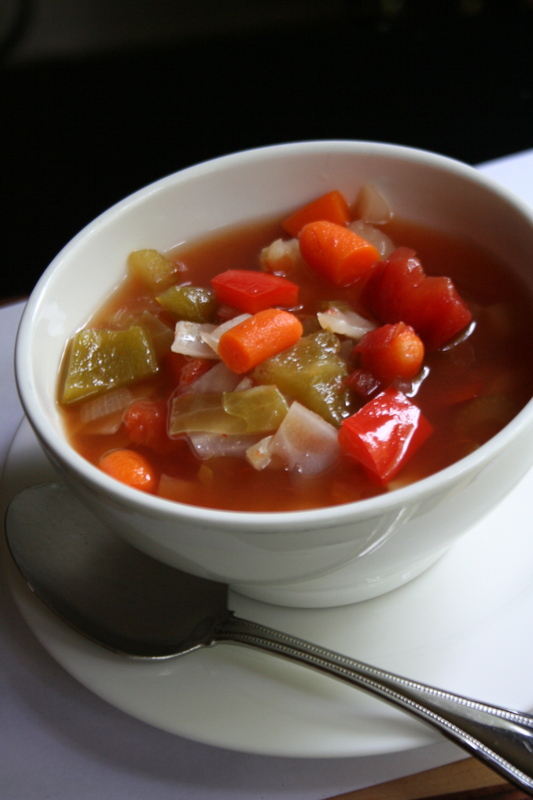 Preheat the oven to 375 degrees and lightly oil the bottom of a casserole dish. 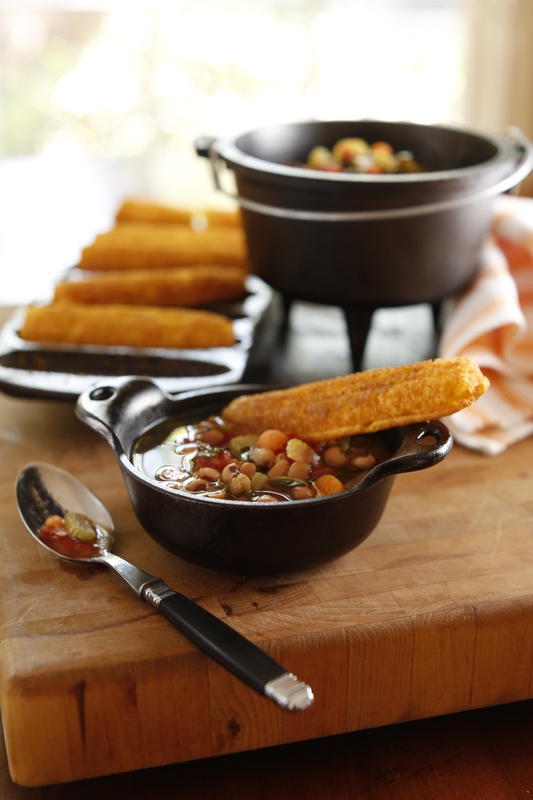 Put a steamer basket (or a colander) inside a large pot and add an inch or so of water. Place the peppers in the basket. Bring the water to a boil and tightly cover the pot. Steam the peppers for 8 minutes. Remove the peppers with tongs and set them on a wire rack to cool. In a large skillet over medium-high heat, warm the oil until a few droplets of water sizzle when carefully sprinkled in the skillet. Add the meat, onion, reserved chopped peppers, and garlic and cook, breaking up the beef with a wooden spoon, until the meat is browned and cooked through, about 5 minutes. Transfer the cooked meat to a colander and drain off the excess fat. Transfer the drained meat to a large bowl and stir in the diced tomatoes, tomato sauce, paprika, Worcestershire sauce, mustard and dried basil. Season to taste with salt and pepper. Fold in 1 cup of the cheese. Spoon the mixture into the prepared bell peppers and place in the prepared casserole dish cut-side up. Evenly top each pepper with crushed French fried onions and the remaining cheese. Bake the peppers until they are heated through, about 35 to 40 minutes. Serve immediately.